I've had a lot of texture in my skin recently and this has really helped sort it out. its an expoilant but it definitely is gentle whilst getting the job done. no redness, no dryness. A must for super soft skin! Absolutely love this product! I got it as a sample when I placed a previous order and thought I would give it a try! As soon as I ran out of the sample I ordered a big bottle of it! It’s so gentle on the skin and makes you’re skin feel super soft after you use it! Definitely a great addition to you’re daily skin care routine! 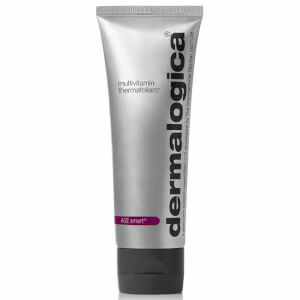 Dermalogica Microfoliant is hands down my favourite skin care product. I have very oily skin, and so I get a lot of buildup and texture under the skin. This is gentle enough to be used daily and causes no sensitivity, even when used after my Clarisonic Mia 2. It smooths my skin perfectly without it feeling raw or dry, and helps prevent blackheads and papules from forming. I use the Microfoliant in combination with the Dermalogica PreCleanse, and Dermalogica Skin Clearing Gel, followed by the Avene Cleanance Expert. This regime really helps keep my oiliness and texture under control, while keeping my skin looking supple and hydrated. I've only been using this product for three days and from day one I noticed a difference in the appearance of my skin. My pores have been minimised dramatically as with fine lines. The discolouration in my skin has also minimised. 100% would recommend this product to anyone! A very gentle exfoliant, ideally suited to those with sensitive skin - no 'harsh scrub' feeling like some other exfoliants can produce. Use daily to weekly depending on your skins needs. I love this product. I have super sensitive skin that easily breaks out. I have tried many microdermabrasions and exfoliants and had terrible reactions to them. This product is gentle enough for even my skin but still does what it says. I couldn't recommend this enough. Love this product, lasts a long time, always leaves face feeling smooth and fresh without drying skin out - a must have product! Nothing has ever worked for my skin - I have combination oily and dry and I found I either still had dry patches or my skin was red and sore after using. This is incredible. Your skin feels better after one use and my skin is now smooth. Never have dry patches anymore. I have sensitive skin that reacts to alot of products and doesn't do well with change of products. My skin didn't react to this at all! Helped clear my sore breakouts caused from another product. I don't use this daily, more like 2-3 times a week and its perfect! This product is one of the best exfoliates out there. It leaves my skin feeling fresh and smooth after use. 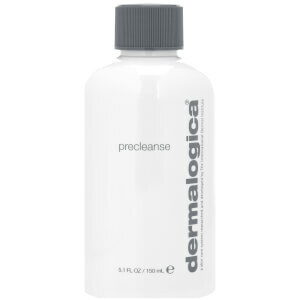 It also help control my acne along side other dermalogica products. I would highly recommend this product.